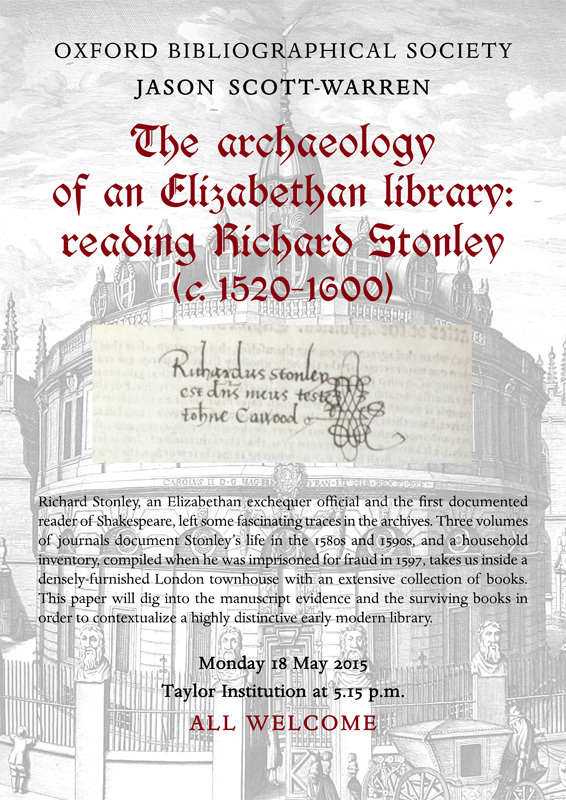 Richard Stonley, an Elizabethan exchequer official and the first documented reader of Shakespeare, left two fascinating traces in the archives. The first comprises three volumes of journals covering periods of the 1580s and 1590s; the second is a booklist that was compiled when the contents of Stonley’s house on London’s Aldersgate Street were sold off to defray his alleged embezzlements in office in 1597. This paper will dig into both documents in order to contextualize a highly distinctive early modern library.